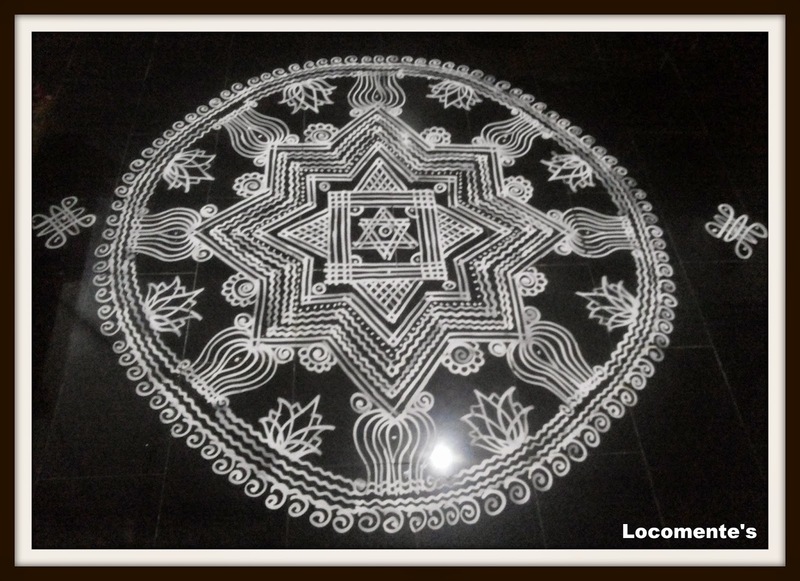 But, by famous Kolam duo in my village. They are famous for their perfection. Excellent.. Looks like these 2 mamis are very talented. PS: What made you conclude that they are mami and not young girls?! I thought talent comes after years of experience. OK. I will give it to you. These 2 beautiful young girls are very talented. Lolz... You were right by the way! Excellent, nice to have show cased their talent. Very well drawn.Practice hones skill though your kolams are also equally good. Thanks GP... I am not as experienced as these duos... Also opportunity to make kolams is also comparatively very less! this one is really amazing!